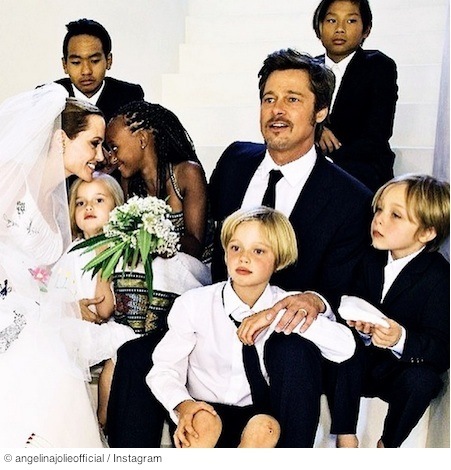 Almost everything Angelina Jolie does turns heads, sparks conversation, and makes headlines. She herself is the author of an opinion piece recently published by The New York Times (NYT) that made headlines in news media outlets around the world. Jolie’s piece is less opinion and more clarification and information for women everywhere facing the risk of hereditary cancers that affect the breasts and ovaries. She tested positive for a mutation in the BRCA1 gene that indicates a strong likelihood of breast cancer and ovarian cancer at an early age. Jolie’s risk of early breast cancer was determined to be 87%; her risk of ovarian cancer 50%. Jolie’s mother, the actress Marcheline Bertrand, was diagnosed with ovarian cancer at age 49. She died seven years later at age 56. Before her death, she and her long-time partner, John Trudell, founded Give Love Give Life, an organization devoted to using music to raise public awareness of ovarian and other gynecological cancers. Bertrand’s mother died from ovarian cancer at 45. Bertrand’s only sister (Jolie’s aunt), Debbie, died of breast cancer just three months after Jolie’s preventive mastectomy. The preventive mastectomy reduced Jolie’s risk of breast cancer to just 5%. Jolie knew that surgery to prevent ovarian cancer was in her future but had no specific plan when to have it. An annual check-up, however, revealed inflammatory markers that could be early signals of cancer. More tests were done to confirm the diagnosis and Jolie was scheduled for an immediate bilateral salpingo-oophorectomy (removal of both ovaries and fallopian tubes). The surgery revealed a benign tumor on one ovary but no sign of cancer. Although Jolie’s uterus was left intact, she now faces early menopause and is taking various measures to reduce its impact: a bio-identical estrogen patch, progesterone IUD, and strengthening of her immune system to make it more difficult for cancer to develop in the future. She expresses deep sympathy for women who carry the BRCA1 and BRCA2 mutations and are diagnosed with cancer before having children. Her NYT piece briefly mentions ways women can preserve their fertility before cancer therapies so they can have children once the cancer is gone. Because Jolie’s high cancer risks are the result of heredity, her two biological daughters are also at risk. Jolie’s experiences will, no doubt, influence their own future decisions on the matter. Jolie Pitt, Angelina. "Angelina Jolie Pitt: Diary of a Surgery." Editorial. The New York Times 24 Mar. 2015: A23. Web. 2 Apr. 2015. "How to Deal with Surgical Menopause: Questions and Answers." National Cancer Institute. National Cancer Institute, n.d. Web. 2 Apr. 2015.